Is the Nexus 5X Google's return to form in the smartphone market? After the mixed reaction to the Nexus 6, Google has released two phones this time, but what role does the 5X play? Verdict: A good mid-range successor to the Nexus 5 but it’s not the jump many were expecting. CHANGE ISN’T NECESSARILY a good thing. After the positive reception the Nexus 5 received, Google decided bigger was better and came out with the Nexus 6, a device whose big screen size became a big deterrent. Now the strategy is different and much like Apple and Samsung, it’s released two devices, the mid-range and accessible 5X from LG and the high-powered 6P from Huawei. Both devices have an audience, but since we’re starting off with the 5X, how does it fit into the market? The build quality of the 5X isn’t bad, but you feel that physical design wasn’t a high priority. Using a plastic design, flat sides and a camera that juts out somewhat (although it’s smoothly done), it’s sound but you do feel that if they skimped on materials a little more, it would be a flimsy phone. The placement of the power button and volume are on the right-hand side with SIM on the left, but there is one noticeable addition. The fingerprint scanner is located at the back, underneath the camera lens. This works better than you would think. It frees up a little more space for the screen, bumping it up to 5.2-inches, and it more intuitive for the user since you’ll likely have your fingers on the back when using it one-handed. It makes it easier to unlock, which you can do without waking up your phone. Unlocking your phone with the fingerprint scanner when asleep is fast, and the two-taps of the power button to wake the camera isn’t original but it’s welcome. Since the Nexus range is usually a way to show the world the latest version of Android in its purest form, you should prepare yourself for a few new additions. In all honesty, apart from Now on Tap – which will become a major feature for it over time – the changes are mostly small and in the background, addressing some of the flaws associated with Lollipop. The lock screen brings some interesting priorities. The phone button is replaced with Google voice search by default. Granted, using your phone for phone calls has likely reduced somewhat, but it’s probably not the best change if you’re in an emergency. Much like Motorola’s latest phones, it also has a glance screen for notifications, showing them in black and white any time you move your phone, after a longer rest, or when a notification arrives. The home screen brings another change that may irk some users. The app grid now allows five apps per row, something that will make the screen look cluttered if you’re over-reliant on them. If you use widgets, this means you can fit even more of them onto your screen or make them bigger, but it can look congested if you cram them in. There’s nothing revolutionary here, it’s just Google making the most of its software to best suit its phone, and they’re welcome. Considering the number of improved devices being released, it feels like the term mid-range has become a misnomer of sorts. The 5X is a step above traditional mid-range devices and the Nexus 5 in some ways, but it hasn’t exactly improved in others. Instead of having one quad-core CPU at 2.3 GHz, it has a quad-core 1.44 GHz & dual-core 1.82 GHz. It means it’s a good improvement upon the original Nexus 5, making it more efficient with tasks. There are few performance issues with resource-heavy games and you’ll be hard-pressed to see any slowdown. RAM and space stays the same at 2GB and 16/32GB respectively, which is more than enough to work with. Battery life has been pumped up to 2,700 mAH, but at best you’ll get a day out of it through mixed use. Doze does a great job in prolonging your phone’s battery life when resting, but heavier use will leave you close to empty by the time evening arrives. Considering how expanded storage was one of the main features of Marshmallow, it’s strange that there isn’t a micro-SD slot on any of the Nexus devices, something the 16GB version could do with. It’s no secret that for all the hardware the Nexus range boasted, one of its big problems was a weak camera. That wasn’t really been solved with the Nexus 6, despite the improvements, and with the 5X, it’s better but not great. It comes into focus quickly and more often than not, it gets the lighting right first time round. Google Camera is still one of the more user-friendly camera apps out there and the inclusion of 120fps for video is decent, if not great when viewed on a larger screen. Still, it’s not as great in low-light situations and slow-mo in these situations brings with it a flickering effect, meaning it’s a bit hit and miss. You’ll get generally decent shots through it, but nothing you will want to look at on a screen bigger than an smartphone. For those who absolutely loved the Nexus 5, it’s genuinely worth considering. The fact that it’s not tied down to any network and its availability is a massive plus. Yet those who are really into Android and want a longer-lasting phone might want to look at the 6P for the bump up in specs. Yet the Nexus 5 is cheaper and a more manageable size so if you’re intent on getting a Nexus device, you have to consider which is more important: convenience of use, or an improvement in specs. All things considered, it’s a solid entry to the Nexus range, and a nice one for those disappointed by the Nexus 6 size. Others might feel it’s a little too expensive, but those annoyed with the clutter and bloatware brought by other phones will find this refreshing. - All the benefits of Android Marshmallow. - Great specs for the price. - Isn’t tied down to any network. - Camera still a weak point. - No micro-SD slot to improve 16GB version. The Nexus 5X starts at €479 and is available on Google Store. Email “Is the Nexus 5X Google's return to form in the smartphone market?”. 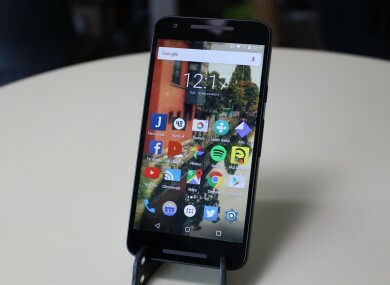 Feedback on “Is the Nexus 5X Google's return to form in the smartphone market?”.